Medical Disclaimer: I am not a doctor nor am I a professionally trained herbalist. I did my best to look into the safety and proper dilution of these oils for pregnant women before using them on myself. 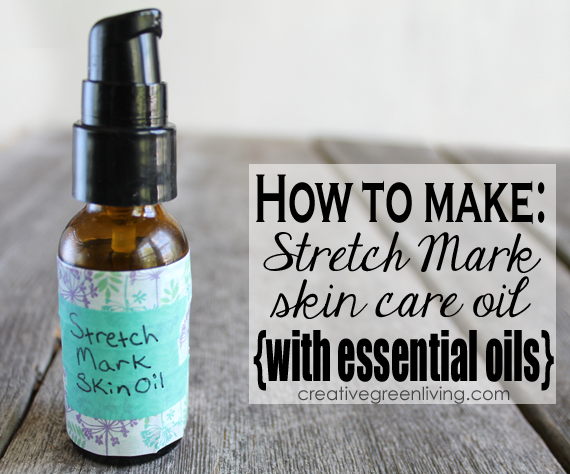 The recipe and directions I provide are how I made a stretch mark oil that I used for myself personally while pregnant. 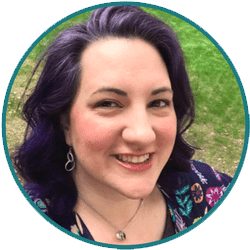 While I found this oil to be effective for me, I cannot promise that it will work for you. Please discuss any use of essential oils with your trained medical provider before use. 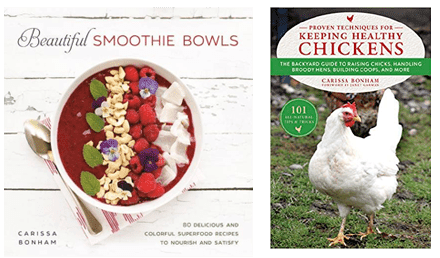 By following this recipe, you agree to hold both Creative Green Living and author harmless. 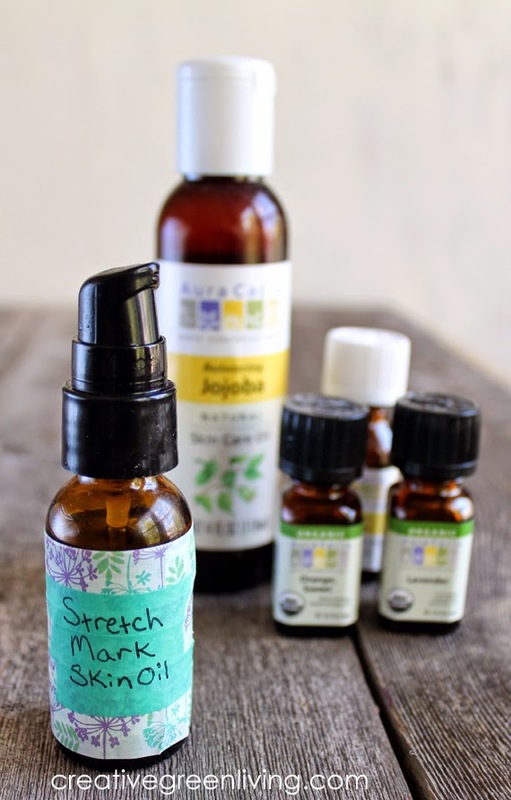 Fill the bottle the rest of the way (to the base of the neck) with jojoba oil. Screw the lid on and gently shake or roll to mix. To Use: Squeeze a dropperfull of oil into the palm of your hand. 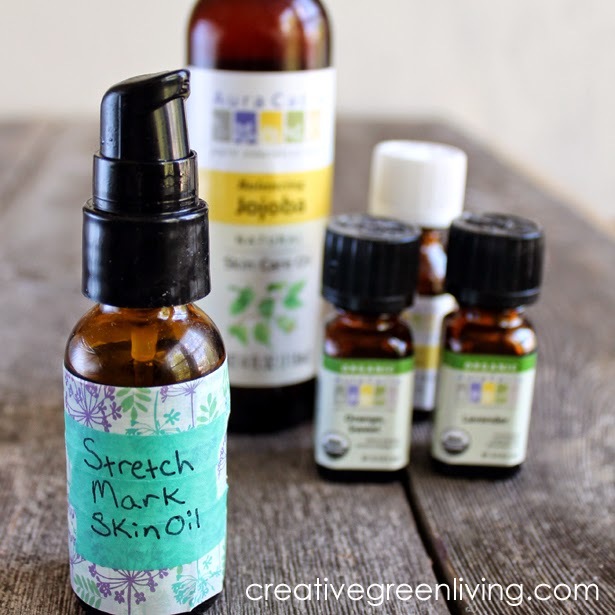 Rub all over your belly, hips, thighs and anywhere else you are concerned about stretch marks. Multiple dropperfulls may be needed to cover the affected areas. Massage oil into skin gently with your finger tips. Allow to completely soak in overnight.